Musicas dedicadas ao Avatar Meher Baba. Cada musica vem acompanhada de um comentario sobre o seu tema. 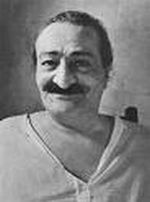 Songs dedicated to Avatar Meher Baba. 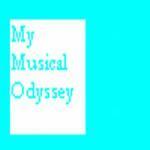 Each song is accompanied by a commentary about the lyrics of the song. I am the treasure of infinite worth. How could we really know that He could love us so? Como seria possivel saber que Ele nos ama tanto? Once one has been in the company of a God-Realized being it is so difficult to be absent from him. Se voce fica na companhia de um Ser Perfeito, uma que e'num estado de uniao com Deus, vai ficar muito deficil de ser ausente da companhia Dele. This song is from a play written about the time when Meher Baba stayed in Italy in 1933. Esta musica vem de uma peca escrito sobre o tempo que Meher Baba ficou na Italia por um tempo em 1933.